Dubai, UAE, 3rd July, 2018: Rasasi Perfumes, one of the leading perfume brands in the Middle East, recently launched MUSK - a new collection of fragrances inspired by the rich perfumery traditions of the Middle East. 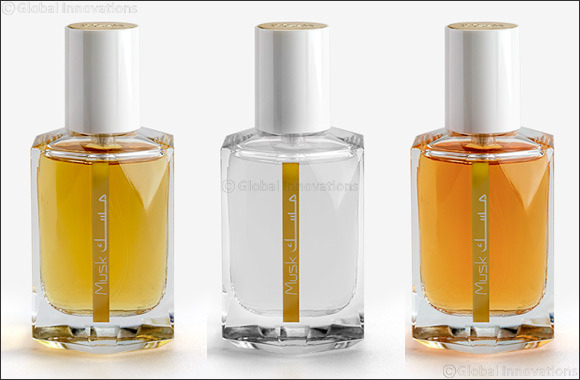 This unisex line includes three unique variants – Naqaya, Hareer and Sharqi. Inspired by musk, a coveted scent from times of antiquity, the perfumer creates three unique scent journeys with the mystical and sensual white musk as the central muse. The precious high quality oriental essences harmoniously play along the contrasting, zesty and sparkling modern notes, creating rich and sophisticated signature expressions of timeless ingredients reinterpreted in a modern way. Priced at AED 150 each, the off-white and gold case houses a beautiful petite 50ml glass bottle, each composition embodying refinement and endearing charisma. Inspired by the purity and innocence of a white veil, Musk-Naqaya, a multifaceted dreamy, mystical and spiritual journey, envisaged to be a skin scent, is radiant with bright hesperidic notes, softened by luscious-velvety magnolia and rose essence and lent a pleasant assertiveness by the unique woody signature. Musk-Hareer is a magical fragrance that reflects the softness of silk. The fragrance opens on fresh aromatic notes of artemisia and davana. The seductive rose is the blossoming queen of the fragrance with a multifaceted combination of fresh Turkish rose essence and intense Egyptian rose absolute. The rich rose nuances are further enhanced and lent a sparkle by a modern red fruit zest of raspberry. In the base notes, white musk enhances the contrast of strong and deep woody tonalities of sandalwood and palisander, softened by an addictive and utterly sensual amber. Musk-Sharqi is an intensely intoxicating Oriental journey that meanders through time paying a tribute to the pride and traditions of the Middle East. The fragrance opens on wafts of seductive mystical rose essence infused with an inviting citrus punch. The heart swells with dark and earthy opulent woods mellowed to a velvety creaminess by tuberose. Sandalwood reinforces the earthy, creamy lingering nature of the fragrance as it races through intoxicating vanilla, while the warm sensuous amber embraces the deeply animalistic Indian oud, white musk infuses intense mystique to this oriental opus. With a legacy of four decades, Rasasi prides itself on having an unrivalled knowledge in the art and science of blending scents that celebrate finest traditions of perfumery and the rich cultural heritage of the Middle East.